Osso bucco in Italian means bone with a hole. This classic braised veal from northern Italy is the world’s best make-ahead dish —it tastes amazing on the second day. Traditionally the osso buco is made with veal shanks braised with vegetables, stock and wine. It’s served with saffron infused Risotto. My husband bought this piece of meat the other day. I was looking for inspiration from my Facebook followers as to what cook with this cut of meat. I had suggestions from stew to soup to curry to Nihari curry and quite a few people suggested osso bucco. The name of the dish intrigued me as I have never heard of it. So, I decided to go with a recipe that Marley Roos shared with me. I’ve made a few adaptions so I’ll add the original recipe below. All the recipes called for wine as one of the key ingredients. Well, that is clearly a NO for me, so I just decided to omit the wine and the end results were just as good, in my opinion. I also used homemade stock. I’ll share my recipe for homemade stock in a different post. This recipe is a perfect winter dish and definitely a keeper, to be repeated many times! I started with preparing the vegetables. Chopped onions, celery sticks, garlic and carrots. Heat 2 Tbsps butter and 2 Tbsps in a pan. Add the peeled and chopped onions, carrots, celery and garlic. Stir fry until the onions are golden brown. Remove from heat and transfer into a large ovenproof dish. Heat the remaining butter and oil in a large pan. In a bowl, season the flour with salt and pepper to taste. Coat the shanks with the flour. Add the shanks, don’t overcrowd the pan, brown well on both sides. Continue until all the meat is browned. Place the browned shanks on top of the vegetables. Empty the two cans of tomatoes into the same pan you used to brown the meat in. Add the stock, bayleaves, thyme and lemon rind. Simmer for about 10 minutes. Pour the sauce over the shanks. Cover the dish. Bake in a preheated oven. Bake in a preheated oven at 190 degrees Celsius for about 11⁄2 hours or until the meat is tender, stirring occasionally. I served mine with boiled basmati rice. Stir fry until hte onions are golden brown. Remove from heat and transfer into a large ovenproof dish. Add the stock, bayleaves, thyme and lemon rind. Bring the sauce to the boil, season with salt and pepper if needed. At this point you could add a tablespoon or two sugar according to taste, this is totally optional. Simmer for about 10 minutes. Pour the sauce over the shanks. Cover the dish. 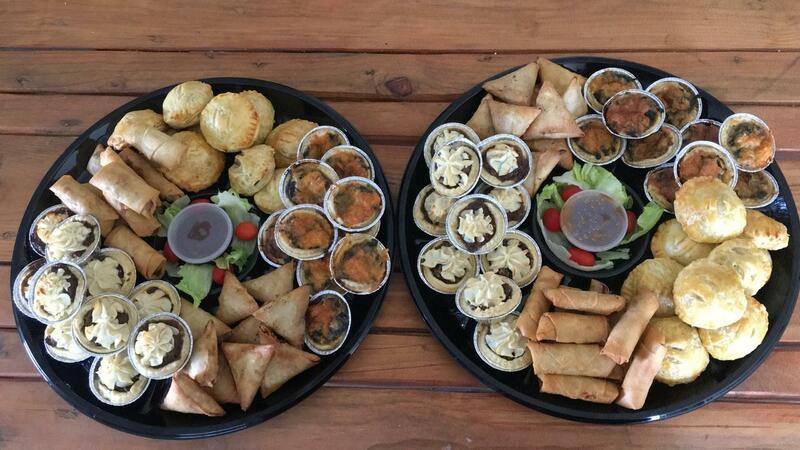 All content and media is the property of Salwaa Smith and Cape Malay Delights (PTY) LTD.